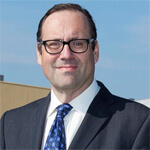 A few weeks ago Richard Harrington the Business Minister spoke at the annual Construction Sector Forum and made a particular point about the need for large contractors to pay their bills to subcontractors on time. He highlighted a couple of cases where, as he put it, big businesses were using the money they owed to subcontractors as a form of financing within their own enterprise. It’s quite clear that where subcontractors are being placed in the position where they will not get the work unless they agree to terms such as invoice date +60, or large retentions, this is unfair and to be blunt, a form of corporate bullying. Yet I also see it on a very regular basis. At SuperSkills, we are always very wary of dealing with the Public Sector, because of previous difficulties in getting paid promptly. There are government guidelines that are issued to different departments of state requiring them to adhere to quite strict standards when it comes to paying suppliers. However, it is equally clear that when you are told you’re not getting paid on time there is little you can do about it. We used to do quite a lot of work for a school in a nearby town and the Admin staff seemed to take a pride in messing our payments about. They were quite surprised when we told them to look for a new provider. Without naming names, there are some councils that we simply will not do business with and one very large department of state that has to pay us in advance at the time of placing their order. But it’s not just big business or the public sector – one of our assessors had this experience recently on a shop refurbishment and he’s soon at the Small Claims Court to get his money. I confess to smiling yesterday evening reading about a plumber who had secretly installed an additional isolating valve to the water supply, the location of which was only disclosed after payment had been received! It really is time late payment of people further down the food chain was clamped down on – not least because it means those small businesses can’t pay their bills and funnily enough, they have a greater motivation to do so.